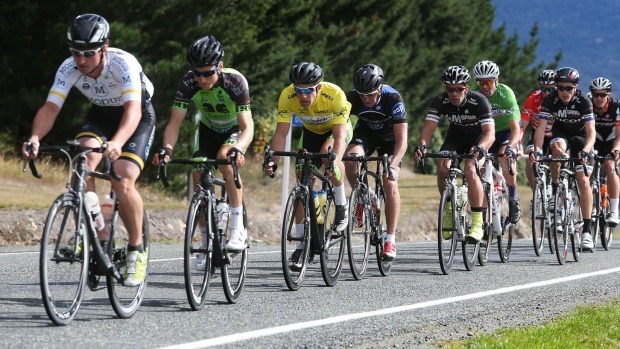 The 78km handicap event provides a highlight of the Cycling Southland spring road racing season and has produced some great performances over the years. Names such as Greg Henderson and Tim Carswell feature on the fastest time trophy, as does Glen Thomson who has made a welcome return to the local racing season this year. Thomson, a 1998 Commonwealth Games gold medallist on the track in Kuala Lumpur, knows the event well and his experience out in the marks on Saturday should prove invaluable. Created by the Waikiwi Amateur Cycling Club in the early 1960s, the Gore to Waikiwi Classic has survived the test of time and there are few other road cycling classics in the country that can boast the long and colourful history that this event possesses. The in-form Luke Macpherson rates as a strong contender for this year's prestigious title but is likely to meet strong opposition in the form of Matt Zenovich and Josh Haggerty who have both recently returned from a season riding in Europe. Both Zenovich and Haggerty are strong riders and, in spite of a long season riding events in Belgium and Holland, are expected to give a solid account of themselves in Saturday's event. All three scratch riders will be using this weekend's event as a shakedown to the upcoming Tour of Southland which will starts on November 1. Also among the scratch bunches will be Brendan Akeroyd and the well performed Tom Sexton, who have both been riding extremely well this season. The race commences from Gore at 1.30pm on Saturday afternoon and will travel via Mataura, Hedgehope, Springhills and Grove Bush before turning through Myross Bush and on to the finish in McIvor Road at approximately 3.45pm. Photo caption: Luke Macpherson in yellow jersey, during the Tour de Lakes 2015.